1. Do I Have to Pay Taxes on My Savings Account? 3. Does Interest on a Certificate of Deposit Get Reported on a 1040? If you have a regular savings account with a bank, you earn interest on the money you deposit in the account. Any interest you earn on your savings is considered taxable income by the IRS. At the end of the tax year, if you accrue more than $10 in interest, the bank will send you a Form 1099-INT, which you use to report interest income to the IRS. Your tax on interest will be the same as your marginal tax rate for ordinary income. The interest you earn in a savings account is considered taxable income. If you make more than $10 in interest on your bank account during the year, you'll receive a Form 1099-INT, and you must report your income to the IRS. Taxable income is really any income you earn from any source unless specifically exempted by the IRS. For example, the money you earn at a job is taxable income, as are any profits you make when you sell something you bought. When you deposit money into your bank account, you've likely already declared that money as income and paid taxes on it; your wages, for example, probably have taxes taken out before you get paid. When you deposit the money, it's likely already been taxed. However, money in the bank earns interest, which is income and is taxable. Though it may sound strange, any deposits you make into your bank are actually loans to the bank. Bank operations are funded, in part, by the money on deposit with the bank. Just as with any other loan, the bank pays you interest for allowing it to borrow money from you. The bank sets the interest rate, which is a percentage. If you keep adding money to your account, you'll grow more interest. You also earn interest on the interest (this is called compound interest). For instance, if you deposit $10,000 into a new savings account on Jan. 1 and it grows at a rate of 1 percent, compounded daily, at the end of the year you'll have $10,100.50. You earned not just 1 percent on the $10,000 principal (which is $100), but also interest on the interest. Interest income is taxed as ordinary income. That means you pay the same tax percentage on interest as you do on your wages from your job. Ordinary income is subject to the federal government's progressive tax system; that is, you're taxed in brackets depending on how much ordinary income you have. Interest income is simply added to all your other ordinary income, and your tax brackets will depend upon the total. Tax brackets are the ranges of different percentages at which different levels of income are taxed. If you make $100,000, for example, your income is taxed in three different brackets. Income in one bracket is taxed at one rate, and then the next chunk is taxed at the next rate, and so on, as explained below. The tax brackets recently changed when the Tax Cuts and Jobs Act was enacted into law in December 2017. The changes affect the 2018 tax year and onward, although the dollar figures will increase in 2019 to account for inflation. To illustrate, if you're single and your total income is $100,000 for the 2018 tax year, you'll pay 10 percent of the first $9,525 ($952.50); plus 12 percent of the income between $9,525 and $38,700 (the difference between the two is $29,175, and 12 percent of that is $3,501); plus 22 percent of the income between $38,700 and $82,500 (the difference is $43,800, and 22 percent of that is $9,636); plus 24 percent of the rest (24 percent of the remaining $17,500is $4,200), for a total tax of $18,289.50. Note that this amount does not factor in any deductions. Income over $510,300 is taxed at 37 percent. Using the same example of $100,000 per year in income, your tax will be calculated using these new figures. You'll pay 10 percent of the first $9,700 ($970); plus 12 percent of the income between $9,700 and $39,475 (the difference between the two is $29,775, and 12 percent of that is $3,573); plus 22 percent of the income between $39,475 and $84,200 (the difference is $44,725, and 22 percent of that is $9,839.50); plus 24 percent of the rest (24 percent of the remaining $15,800 is $3,792), for a total tax of $18,174.50. So although the tax in your middle brackets increased, the amount of income in the top bracket of 24 percent is less. Tax brackets are the same for married couples filing jointly as they are for singles; however, the size of the brackets is different, because there are two income sources. In 2018, for example, the 12 percent tax bracket doesn't begin until $19,050 in joint income, and the top tax bracket of 37 percent begins at $600,000. This is true even if only one spouse was working during the year. Most savings accounts owned by ordinary people will not earn significant enough interest to make much of a difference when it comes to income taxes. Savings accounts generally have a very low yield, and interest income of $100 for the year may or may not affect your tax bracket. 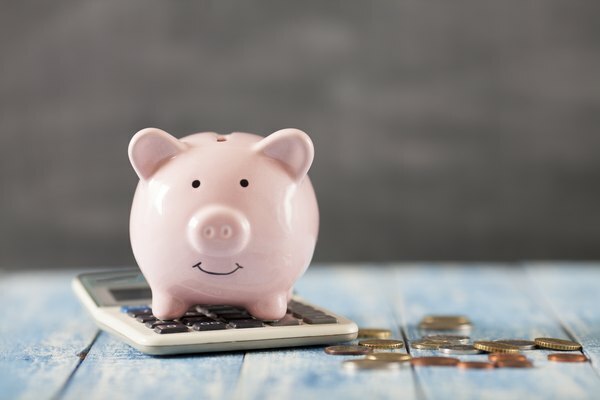 However, if you do have large balances in any savings accounts and earn significant interest, the income could push you into the next bracket. Say you make $150,000 per year at your job; in that case, your top tax bracket is 24 percent in 2018. But if on Dec. 31, 2017, your uncle died and left you a $10 million high-yield savings account with a 2 percent interest rate, that could change. Over the course of 2018, the bank account would earn more than $200,000 in interest, pushing your income from $150,000 to $350,000 for 2018, and pushing you into the 35 percent tax bracket for all income over $200,000.